Blacked chrome metal bezel looks like Pewter or Gunmetal. 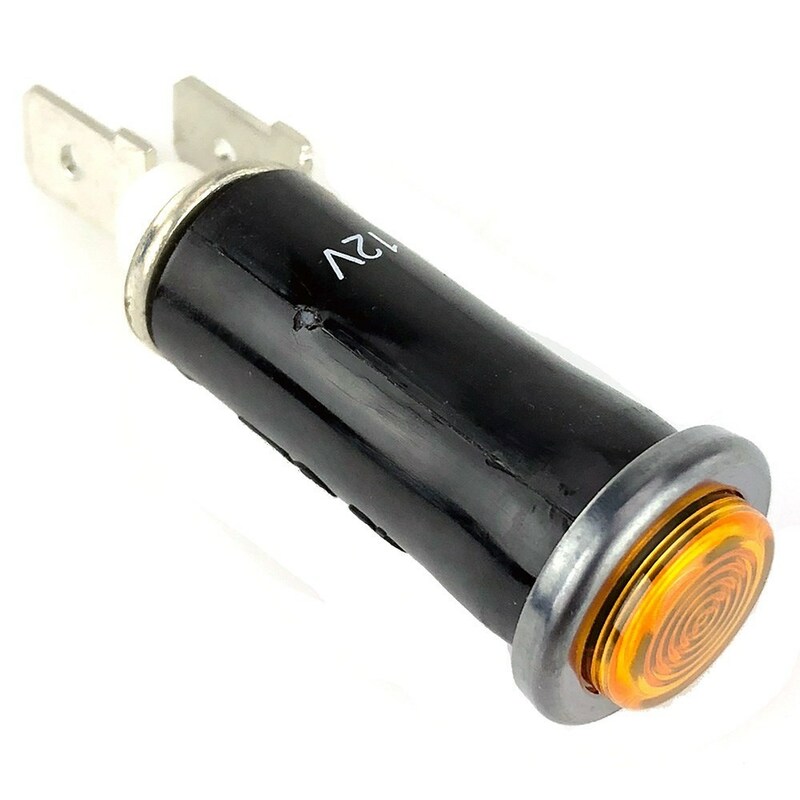 These great little warning lights are excellent value for money. They simply push fit through a 12mm hole in your panel. 7mm bayonet bulb in removable holder. Two 1⁄4 spade terminals at the rear of the warning light ensure foolproof wiring. The plated chrome bezel is 17mm in diameter and has a dashboard projection of 3.5mm.